March 31, 2014 Geren W. Mortensen, Jr.
Do you remember Tom and the dollar bill? Well, I've finally spent that dollar. 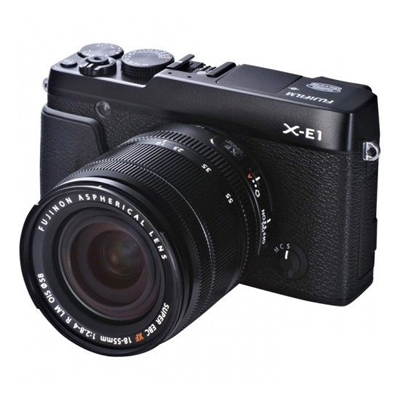 A Fujifilm X-E1 with the 18-55mm lens is on its way to me. My only regrets are that (1) I couldn't do it sooner, and (2) that I couldn't buy it locally. I had fully intended to support the last local camera store in the Baltimore area, Service Photo, but they didn't have any more of the X-E1s in stock. I decided to go for the latter-day Leica look, and ordered the black model. In the next few days, I'll be listing my Sony / Minolta gear for sale -- assuming I don't decide to hold on to it for use as a digital film-making platform for a couple of upcoming projects. There are some fairly impressive example videos on YouTube and Vimeo. Wrapped with the right accessories, it could make a very nice core for a digital cinematography rig, at least while I'm building my Fujifilm system. I'm also thinking about selling my Alien Bees monolights and replacing them with some nice-but-inexpensive continuous lights that can be used for both still and video work.